Oregon grape is a flowering shrub that occurs naturally in the mountainous regions of western North America. Because the herb shares a common chemical constituent with goldenseal called berberine, it is often used as an alternative to the latter. The root and root bark of the plant, which is responsibly wild harvested to ensure future generations, is a vibrant golden color and yields a yellow dye. Being too bitter to use in tea, Oregon grape root is typically tinctured. storage tips Store in a cool, dry location. appearance & aroma Fibrous and golden in color, without remarkable aroma. cosmetic Decoct or tincture to make topical antiseptic skin care formulations. culinary Decoct or tincture as a digestive aid. Decoct with dandelion root to produce a bitter herbal tonic. 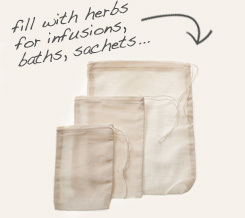 Easily make root infusions with re-usable muslin herb bags. Very bitter when taken as tea. 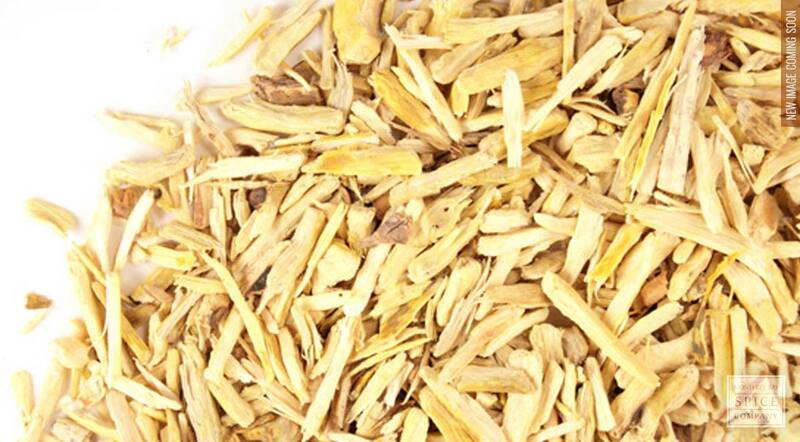 Oregon grape root is often combined with burdock root, dandelion root or yellow dock root. Oregon grape is a shrub that's native to North America, specifically the Pacific coastline. It is most commonly found in Oregon, hence its name. The plant is recognized by large, purple berries and small, yellow flowers. The root is golden yellow. Oregon grape root contains several anti-microbial and anti-inflammatory compounds, such as berberine. While the root is usually decocted in boiling water for 15 minutes to produce a strong tea for drinking, the root may also be tinctured and added to topical ointments to address various skin conditions.